Kids climb all over everything, so why not give them a playground that encourages their behavior and challenges them at the same time? The Mind Over Matter is just the commercial play structure that will provide such a physical opportunity for up to 45 children ages 5 to 12 years old. The MaxClimb High Quest is a unique climbing attachment that engages kids physically, building upper and lower body strength. The Mind Over Matter also comes with an Inclined Wall Climber that's a bit more straight-forward and designed with younger children in mind. And the series of Button Climb steps improves kids balance and sense of confidence as they reach the play decks without hand rails. 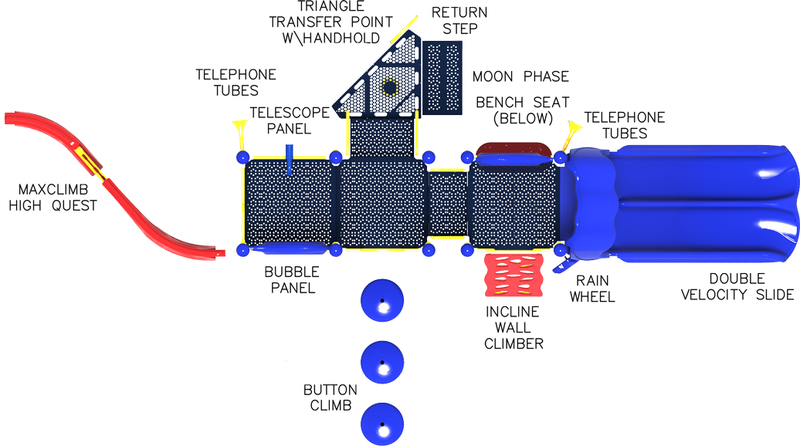 Once on the play decks the kids can access a Bubble Panel or Telescope Panel for imaginative play, where they can pretend to navigate a ship. Or they can access the ever popular Double Speedway Slide for an exciting trip to the ground. While at the ground level kids can also expand their creative imaginations with two Telephone Talk Tubes or a Rain Wheel, for either group or independent play. 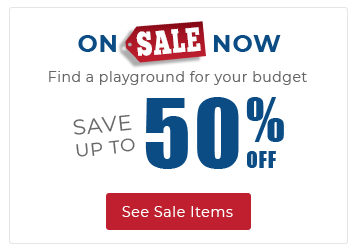 1 Double Slide, Inclined Wall Climber, 1 Playwheel, And More!